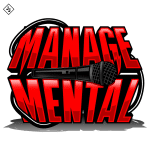 Songwriting Collaborator – Do You Need One? Most songwriters don’t even CONSIDER getting a songwriting collaborator until later in their career. This is a mistake! Here are four reasons why you should be looking for someone to write your songs with TODAY! 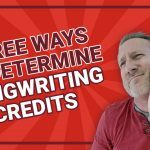 If you missed it, last week I talked about Three Ways to Determine Songwriting Credits for publishing. If you missed it, click the link and check it out! Here are four reasons you need to get a songwriting collaborator. These may be reasons you haven’t considered before. Click on the Youtube video above, please LIKE IT, share it, and comment below the video. What other great reasons are there to get a songwriting collaborator? Have YOU had a good experience with one? First, the Song Matters Most. Not your ego. Not the songwriting credits on the limited pressing of the LP. The SONG. Make the best song possible by taking the best ideas from two or three people. And these people shouldn’t necessarily be fellow band members. Shore up your own weaknesses. If you know someone who is a particularly great lyricist, get them on board to help you if you can’t seem to find the words you need. Some songwriters are great at choruses. Others verses, and so on. Great songwriters are often great collaborators so find songwriters you trust and want to work with, and try it. Second, you will learn a TON about songwriting. Everyone has holes in their songwriting game just some people know what they are. And as songwriting is an art, there’s never one best way to do it. Collaborating with other songwriters exposes you to new ways of thinking about a song and the process of writing the song. Learn from others. Even if you are learning from their mistakes and own weaknesses. When not working with them in the future, try to remember their perspective and apply it to other songs where that perspective is beneficial. Third, collaborative songwriting Breaks you Out of Ruts. Every songwriter has patterns they fall into. Even the best of the best have certain harmonics or chord patterns or melodic lines they go to over and over again. Some of these are characteristics we celebrate about their talent. Others are just BAD HABITS. Working with another songwriter will allow the songs the opportunity to be exposed to another set of ideas and give them the opportunity to be better because of it. You KNOW you’re going to be working harder to get ready for your first collaborative songwriting session. You may not creatively deal well with the pressure you put on yourself – every songwriter is different – but you’ll almost definitely work harder, and good results often come from greater efforts. In everything you do. Maybe you’ll bring more song parts to the session. Maybe you’ll just be motivated to impress them. Whatever it is, however your personality works, use the collaborative songwriting process as an opportunity to get motivated. Next week I’ll be back with ways to save money before you go into the studio. Come back for that! In the meantime, be sure to subscribe to Outerloop Records on YouTube for more Coaching videos.